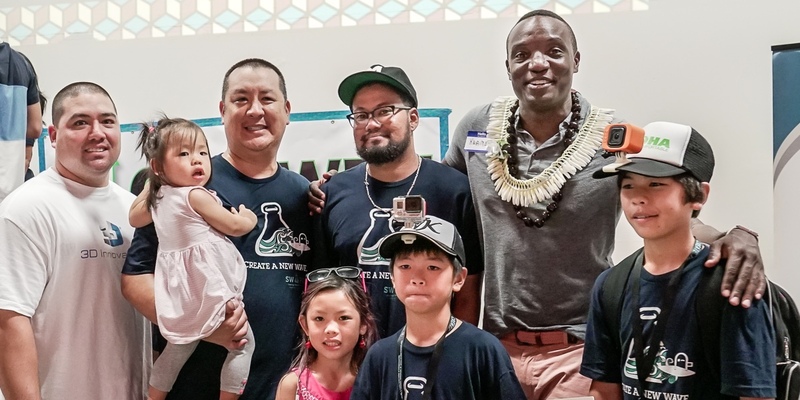 When a team of pre-teens won first place in the latest Startup Weekend Honolulu last month, it was a remarkable accomplishment and milestone for the popular entrepreneurial showcase (which was won by a 16-year-old earlier in the year). But in many ways, they were just getting started. Today, Menehune Hat Clips — with its fast-evolving design for a versatile action camera mount — were named to an elite class of world champions. Many of the winning teams in competitions held in more than 250 cities around the world moved on to the 6th annual “Global Startup Battle.” There was no time to rest on any local laurels, as the worldwide competition required the submission of a 90-second pitch video within 48 hours of the end of Startup Weekend. Videos were submitted by Honolulu winners Menehune Hat Clips, Klima, and Global English Education (the local spinoff of Startup Weekend winning pitch EduTunes) into eight themed tracks. Then, it came down to an open vote as well as an international judging panel. The team included a trio of Punahou School siblings: 12-year-old Buddy, 10-year-old Koko, and 6-year-old Kyndra, with the guidance of parents Evan and Kari Leong. Advisors included Monica Umeda of Akabotics and Collin Kobayashi of 3-D Innovations and the Startup Connector hardware accelerator. Global acclaim aside, the kids have been busy. We just interviewed Buddy and Koko last week on Bytemarks Cafe (along with Christine Koroki of Global English Education and Kamil Schuetz of Klima), where they explained some new enhancements they made to their camera mount, and announced that they had already met with GoPro’s global communications team. Menehune Hat Clips may also have a retail partner in Blue Planet Surf after meeting with manager and buyer Kevin Fung. Of course, the trio remain prolific YouTube creators, making “fun videos for kids” as The Menehunes. In the last week they reviewed candy, and shared tips on decorating your fingernails and making a lei. For more information on Menehune Hat Clips, visit Menehunes.co.